Editor’s Note: It happened this week that we received two accounts of the same meet, one from the winning team and one from the losing team. Instead of only posting one, we thought it would be cool to see the two perspectives, the first Piedmont/ Bridlewood account is authored by Ron Spink, the second by Brenten Gilbert. Thank you for your contributions! The Southbridge Seals put their undefeated season on the line going into their Week 5 matchup at Wellington against the Dolphins. Swimming two divisions up against a team nearly twice their size, the Seals knew they had their work cut out for them before the meet even began. Despite Southbridge swimmers taking first place in 23 out of the 48 individual events and seven relays, Wellington’s two-to-one advantage in event entries overwhelmed the Seals 2976.5 to 2083.5. Southbridge’s 4-1 record ties them with Wellington and Piedmont for the second best in the Prince William Swim League behind Sudley, which remains the only unbeaten team after the Seals’ loss. The Seals had been on a five meet win streak dating back to their 2016 divisional victory. Once again, Southbridge led the league this week in setting new team records with nine, six individual and three relay. Parker Juhlin (50M Free / 100M IM) and Owen Howery (50M Back) continued their assault on the Seals’ record books while Sam Kayne (50M Breast) and Jordan Mumford (50M Back / 50M Fly) lowered the already existing records that they each hold. On the relay front, the 9-10 Girls’ 100M Medley team of Caila Sullivan, Sam Kayne, Alyssa Giovinazzo and Kayley Benway set a new record, while Nikki Skaines, Shaila Williams, Macy Daly and Jordan Mumford broke both the 15-18 Girls’ 200M Free and 200M Medley records. 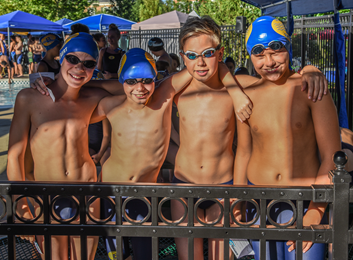 Overall, the Seals had seven relay teams make “Top 15 Times” and 35 individual “Top 25 Times” for the week in the PWSL, led by Parker Juhlin who was number one in the league for the Boys 10 & Under 100M IM. In addition to these performances, 11 Southbridge swimmers recorded their first legal time in an event this season including Chloe Balas (100M IM); Lenikali Bukarau (25M Fly); Carsen Hamblin (25M Back); Anthony Hodge (25M Fly); Sarah Lassester (50M Fly); Edna Michael (25M Fly); Moira Savidge (50M Breast); Celi Simms (25M Breast); Josony Simms (50M Breast); Malachi Simms (50M Fly); and Lierin Simms (50M Fly). Southbridge hosts the Ben Lomond Flying Ducks July 22 in their final regular season meet of the year before hosting divisional championships July 29. 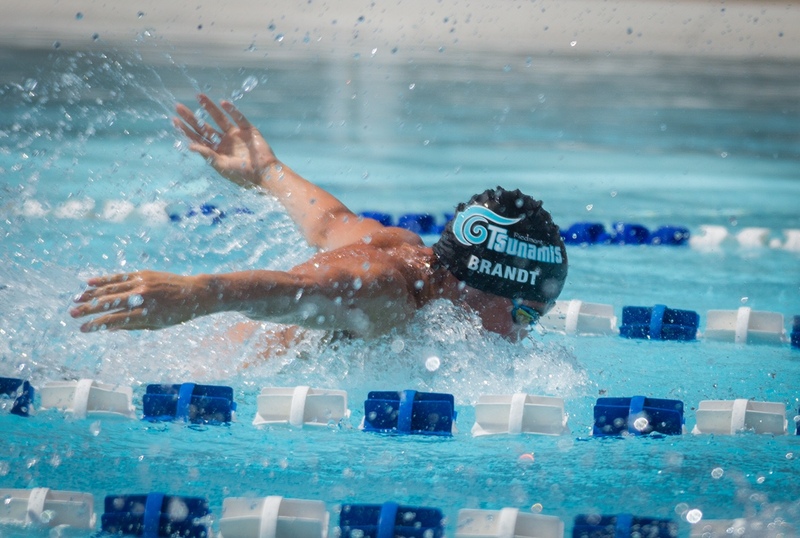 On Saturday, the Piedmont Tsunamis hosted the Bridlewood Bridlewaves swim team and delivered a solidly executed victory to move to 4-1 on the swim season. Coming off an aggressively fought seven point loss in the prior week, the Tsunamis used their final home swim of the year to bounce-back defiantly with a 253 point margin of victory: 2766.50 v 2513.50. While the Tsunamis never trailed by event through individual matchups, the Bridlewaves shot strong out of the gates in the medley relays – swinging key swims from the Tsunamis vs. seed time placements through two team-record performances. But in head-to-head swims the Tsunamis used their depth to recover, stacking a mounting lead during the morning and ultimately commanding 58% of all top placements. The Tsunami victory was symbolically important as well, heralding the last splash at home for several of the team’s graduating seniors. 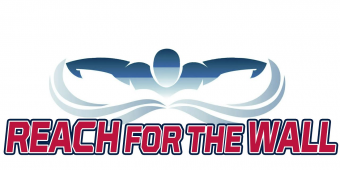 Swimmers, coaches and leaders moving on include: Evan Brandt, Gabby Botsetter, Nikia Campbell, Vicki Fahey, Andrew George, Kaylee Kirby, and Becca Mayo. The crowd capped each of their final performances with appreciation for their contributions, and applause towards their accomplishments as they soon transition to Tsunami “alumni status”. A team record performance opened the day for Piedmont with the Boys 15-18 Free Relay squad of Evan Brandt, Luke DeVore, Henry Radzikowski and Sebbie Borden improving upon their own mark from two weeks prior with a 1:43.02 swim. 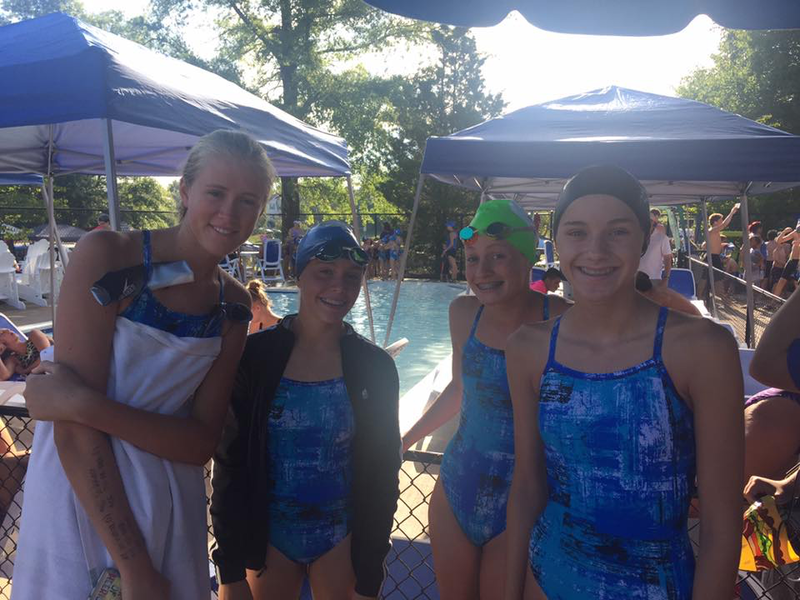 As individual events progressed, Tsunami swimmers led the charts in 12 of the top PWSL times on the day. Charlotte Hannam (3), Camille Spink (3), Matthew Pianoto (2), Alyssa Sagle, Christopher DeVito, Emma Hannam, and Christian Mulroe, all shared number one overall spots in the league for individual performances. 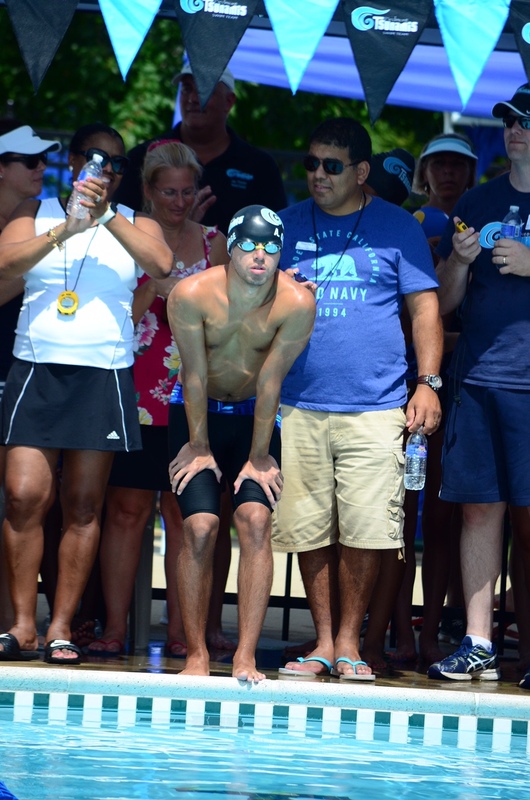 In single swim record-breaking news, only one PWSL league time fell on Saturday – and that was to a Tsunami swimmer. Camille Spink notched a new league best in the 11-12 Girls’ Butterfly for the second week in a row with a time of 30.55. As for the Piedmont team record marks, the star of the day was Charlotte Hannam with three leading performances for the 9-10 Girls. Hannam improved on her record in the 100 IM, to 1:24.07, and the 50 Free, to 32.58. For an encore, Hannam kept family traditions alive by bringing in a new low mark of 42.91 in the 50 Breast – a bar previously set by her sister, Emma, in 2015. Coincidentally, the home pool proved favorable to the event as a whole with a flurry of team breast stroke records. Christopher DeVito beat the 9-10 Boys Breast record for the fourth time this season by dropping to 44.08, almost a half second improvement. Finally, Matthew Pianoto took down his own mark from June to earn the top team spot in the Boys 13-14 Breast at a time of 34.01. Next Saturday, the Tsunamis will take “tent city” on the road for the first time in nearly a month, looking to build momentum as they challenge the Lake Ridge Lancers in Woodbridge to close the regular season. 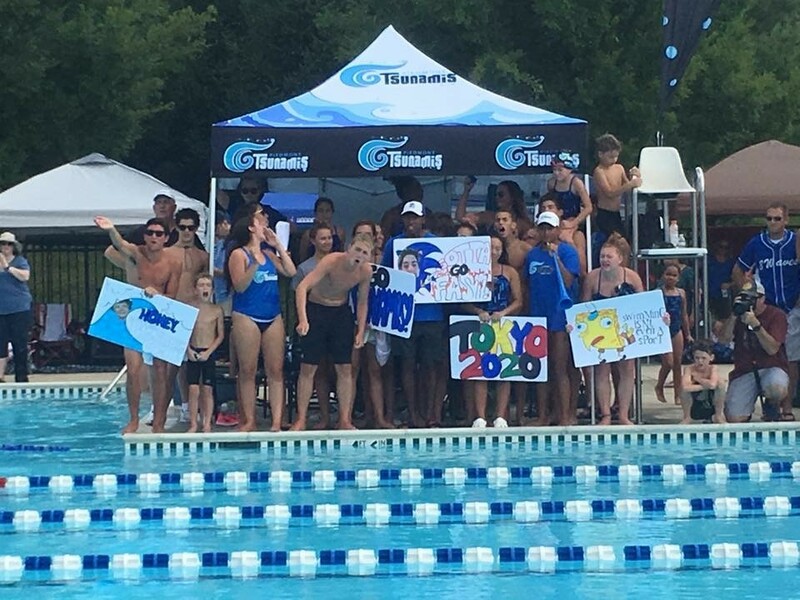 Coming into week five with an even record, the BWaves headed to the Piedmont pool to square off against their final Blue Division opponent, the Tsunamis. Though outnumbered, the BWaves had already swam to close meets with the other Blue Division teams and the team was confident they could keep this meet closely contested as well. This confidence came into play as the meet began and though the BWaves only narrowly edged the Tsunamis with wins in six of the opening 11 relays, three of the relays swam for new team records. As the meet wore on, the Tsunamis began to build a lead, but the BWaves held strong and kept it close heading into the final events. 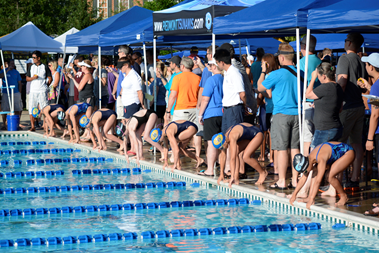 Unfortunately, the BWaves only touched first in three of the closing eight relays, though all 19 relays ended up with top fifteen times of the county. The meet ended with a score of 2513.5 to 2766.5 for a 253-point BWaves loss. Three team Medley Relay records were broken for the BWaves on Saturday morning. The Mixed 8 & Unders squad of Jacob Thorpe, Julia Mayes, Carli Wells, and Haley Edenberg combined for a time of 1:27.02, besting the previous record of 1:28.25. With a time of 1:14.90, Ella Cypher, Maecy Wells, Makenzie Witt, and Madalyn Witt took a half second off of their record from earlier in the season. And registering a new record for the 11-12 Boys, the Medley relay team of Christian Carroll, Brandon Gardner, Peter Gilbert, and Joseph Tillotson put up a time of 1:06.44, almost a full second off of the previous standard of 1:07.37. For individual events, Maecy Wells (10) took down a 14-year old record in the 9-10 Girls 50m Freestyle, with an impressive time of 32.82 seconds. Next week, the BWaves will host Division rival Kingsbrooke, with their sights on taking a 3-3 record into the Red Divisional Championship at the end of the month. The 9-10 Girls line up for a 50m Freestyle heat that would see team records fall for both teams. The 11-12 Boys relay celebrates a new BWaves record for the Medley Relay.